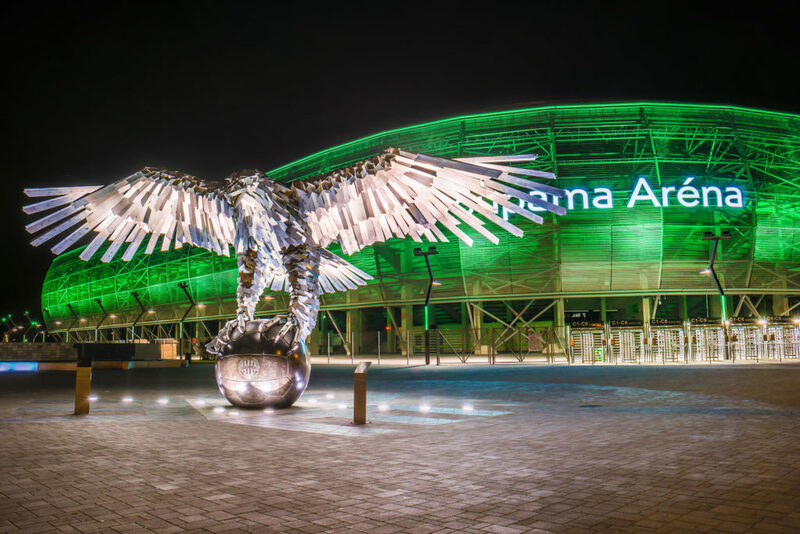 In the midst of the excitement of yesterday’s Super Bowl, America’s most anticipated sporting event, one could spot a somewhat familiar, Hungarian detail: the giant falcon statue welcoming spectators to Atlanta’s stadium was created by a Hungarian sculptor. 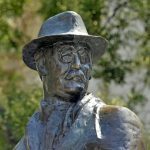 The sculptor, Gábor Miklós Szőke, is known in Hungary for constructing the sensational eagle monument standing in front of Budapest’s Groupama Arena, home of Hungarian first division football team Ferencváros. 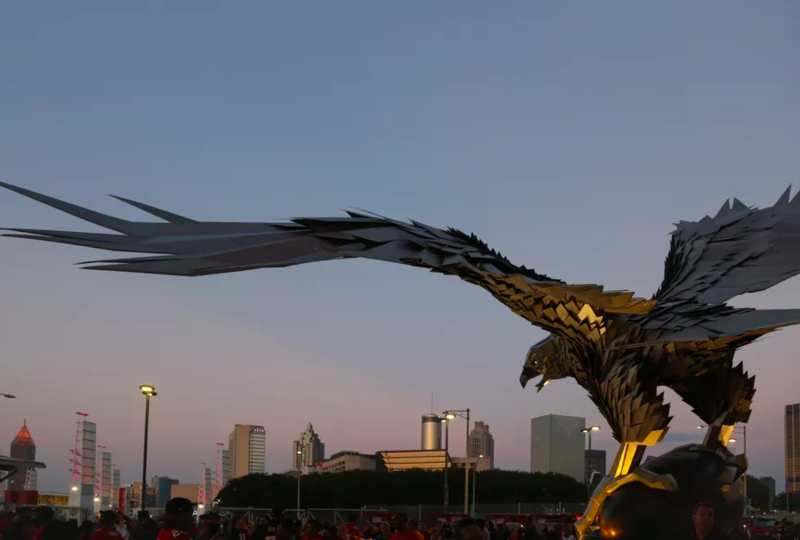 The talented Hungarian artist was commissioned by the Atlanta Falcons to create a colossal falcon statue for their new stadium. The $1.5 billion Mercedes-Benz Stadium opened in September 2017. 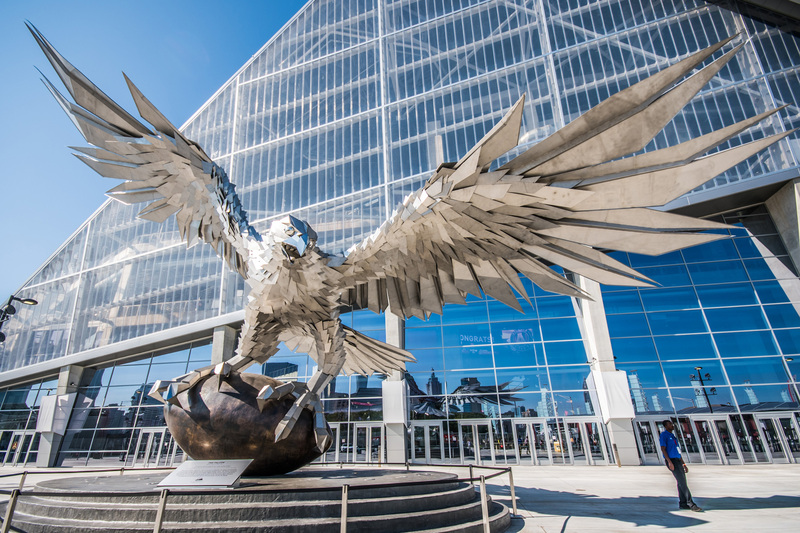 The giant falcon has been dubbed “the city’s most dazzling new work of outdoor art.” The 2,5-meter high, 20-meter wide and 32 ton (73,000 pounds) bird statue—the biggest of its kind—is comprised of thousands of stainless-steel pieces and a huge bronze football. 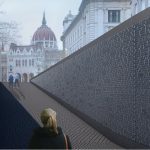 The majestic work (which captures the act of a touchdown) was first erected in Szőke’s studio in Budapest. It was later dismantled and transported in pieces to the main plaza of Mercedes-Benz Stadium in Atlanta where yesterday’s LIII Super Bowl final took place.